What is a Tagine Pot? 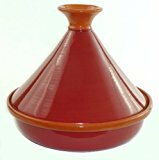 Where Can I Buy a Tagine Pot? You may notice that I am making it a point to specify tagine pot and not just refer to this as a tagine. There is a simple reason for this. The word tagine has two meanings. A tagine refers to the food cooked inside the pot as well as the pot that is used to cook. 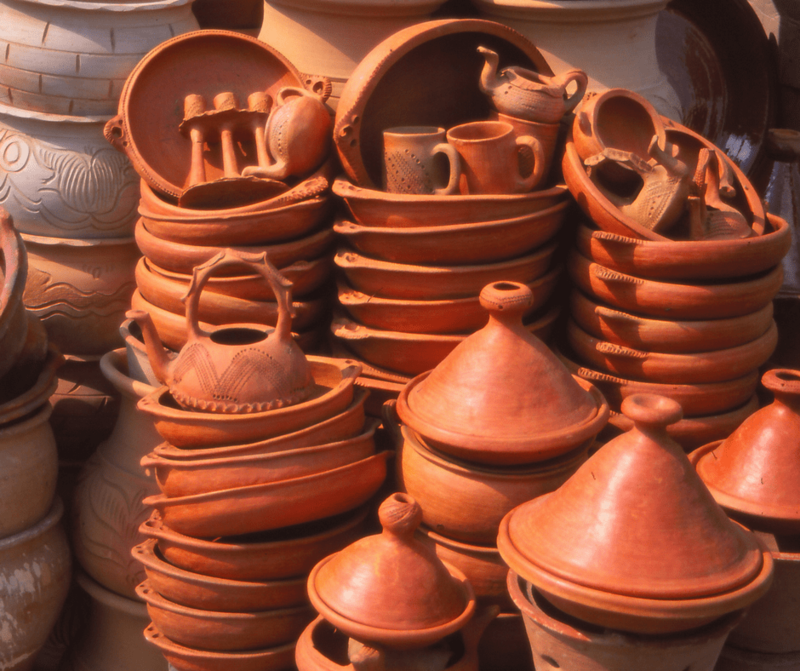 Traditionally tagine pots are made out of clay. They can be glazed or unglazed, the finish just depends on what the cook likes better. In Morocco you’ll also see lightweight aluminum tagines. Outside of Morocco there are more companies are making pots out of other materials like cast iron or even steel. Tagines come in a variety of sizes. There are small cooking tagines that serve 1 or 2 people, medium for a small family and large tagines for 6+ people. If size is a factor the smaller tagines are good but a medium sized tagine pot is a good investment for long-term use. 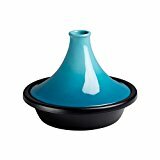 how much experience do you have using a tagine? how often will you be using your tagine? how much money do you want to spend on your tagine cookware? Cooking in a tagine requires a little bit of experimenting until you understand how yours works. An unglazed clay tagine will cook a lot differently than a cast iron enameled tagine. For beginners who don’t want to spend a lot of time fussing with traditional clay tagines, it makes sense to opt for the glazed versions. 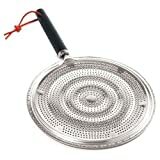 These tend to be more expensive however you can use them to cook many different things with or without the lid. 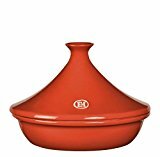 Those who want a more traditional tagine should look for an unglazed clay tagine. These are very easy to purchase in Morocco and make a great item to pick up if you’re visiting and want to bring something home. They also can be purchased abroad which is a good choice if you don’t want to carry the extra weight! If you would have asked this question even a few years ago your options would have been very limited. But, thankfully Moroccan food is really making waves in the food scene. Today it’s a lot easier to buy tagines! As mentioned above, if you’re visiting Morocco this is the best place to buy a traditional tagine. You will see two different types of pots. One is painted on the exterior, and one is plain. You can not cook in the decorated tagines. When you are shopping you should make sure to double check if the pot is able to be put on the stovetop and/or into the oven – this is especially the case when purchasing clay tagines. If you are buying a tagine in Morocco you’ll also want to be aware that some do contain small levels of lead. The makers of the tagines are becoming aware of this and doing more and more to make sure that their tagines are safe however at the end of the day money becomes a factor. If you’re unsure you can purchase an at home lead test. You could even bring them along and check before you buy. As wonderful as it is that there are now so many tagines on the market, it can be really hard to determine which one is the right one for you. 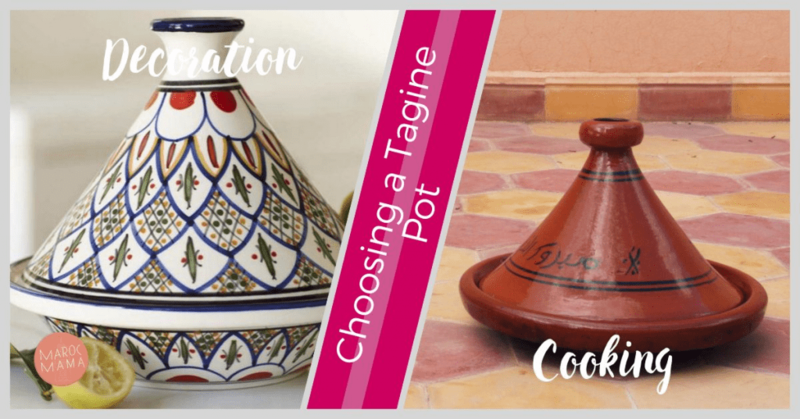 I have chosen some of the top tagines to compare in this post so that you can make the right choice for you. Description: This is a glazed tagine imported from Morocco. It is in the traditional style and lead free. Description: This is a glazed tagine imported from Morocco. It is in the conical style with a hole for ventilation. Serves 2-3 people. Description: This is an unglazed tagine imported from Morocco. It is lead free and 12″ wide. Description: This is a glazed tagine hand painted with food safe paints from Tunisia. It has a deeper base than many Moroccan tagines. Description: This is a small, glazed tagine imported from Morocco. It measures 8″ wide and is good for 1-2 people. Description: Sur la Table Tagines are made in the traditional way from terra cotta. Best results when seasoned before first use. Description: These tagines are made in France and have a 10 year warranty from the manufacturer. They are made from terra cotta and made to be lighter than many other tagines. Description: Made with an enamel interior, cast iron base and stoneware lid this tagine combines the traditional cooking methods of the tagine with the properties Le Creuset cookware is known for. It also has a lifetime warranty for anyone who is cautious about purchasing a tagine in fear of it cracking. 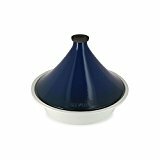 This tagine has a higher price point however the lifetime warranty means you won’t need to purchase another one ever! 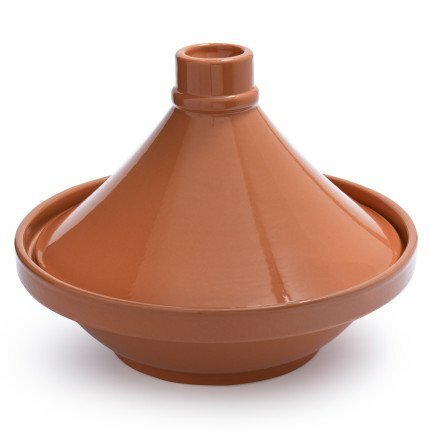 Description: An all-purpose tagine made from culinary grade ceramic. Material is thermal shock proof and can easily go between different temperatures without breaking. Freezer and dishwasher safe. Safe to Use In: Oven, stovetop, broiler safe up to 572F. Can also be used in microwave . Description: This tagine model comes both with and without handles but the handled version is a great option for more stability. Materials are stainless steel with an aluminum core that makes cooking time faster. Includes a tempered glass lid and is dishwasher safe for easy cleanup. Safe to Use In: Induction compatible; Works on gas, electric, glass, ceramic, halogen heat as well as oven safe up to 500F. If this is the first tagine you will be buying then you may need a few pointers on how to make the best use of it. When getting started it will depend on the tagine you choose. For clay tagines you should always season/prime it to begin with. This may sound like an arduous process but if you want to keep your tagine from cracking it is very important. Not only does it strengthen the clay from cracking but can help remove some of the clay taste that comes naturally. Soak the lid and the base of the tagine in water for a minimum of 2 hours. Drain the water and air dry the tagine. For an unglazed tagine, rub the entire vessel (interior and exterior) of the lid and base with olive oil. Put the pieces into a cold oven and turn the heat to 150C/300F for 2 hours. Turn off the oven, and leave the tagine to cool. Wash the cooled tagine by hand, and coat the interior again with olive oil before storing or using. Clay and ceramic tagines will crack when put on high heat. They also can easily crack if put on any heat with nothing in the vessel so you should always take care to never do this. You should always use the lowest burner setting on a stove top and the oven unless you have chosen a tagine that specifically states it has a higher temperature point. A good way to protect your terracotta tagine is to use a heat diffuser. This is a really inexpensive, simple instrument that you can purchase. To use you just put the diffuser between the stovetop heat source and your tagine. Really, that’s it! I’ve found that for those who are afraid of cracking their tagine this is an easy way to ease into using them. You still need to keep the temperature low but it does add an extra layer of protection. Once you’ve gotten your tagine and prepared it, it’s time to start cooking! There are countless tagine recipes out there so where should you start? You can browse my site for several different recipes. There are also a few cookbooks that I really love and think you will too. Paula Wolfert was my first teacher when it came to Moroccan food. I poured through her cookbooks and have made so many of her recipes. This cookbook is the last Moroccan cookbook she put out. Not only is it full of great recipes but beautiful pictures as well. Author Kitty Morse grew up in Casablanca and shares her recipes in this book. The recipes are step by step and easy to replicate outside of Morocco. This is a really good choice for someone just starting out with Moroccan cooking and wanting a bit of hand holding along the way. Yes, this is my cookbook! 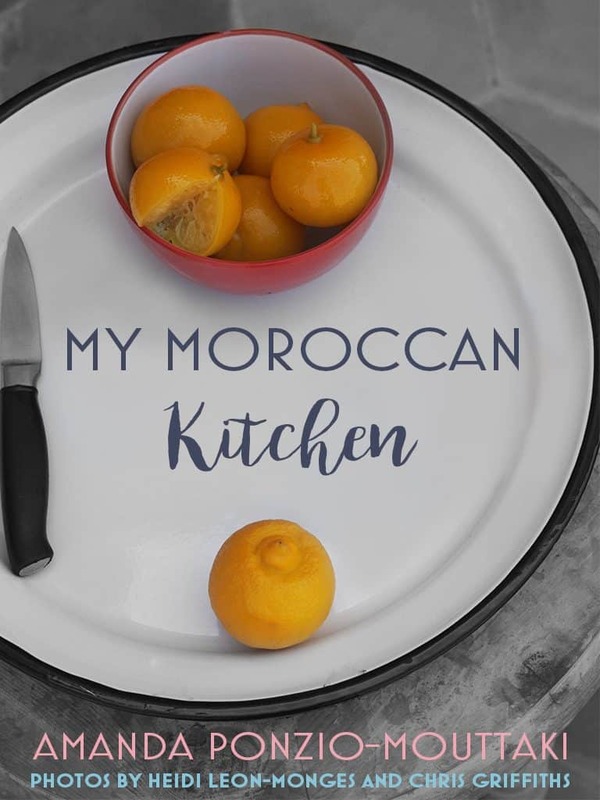 It’s a digital cookbook and includes 30+ Moroccan recipes, many of which have been converted for those suffering with allergies like celiac disease. There’s really something for everyone in this book. Once you start cooking with a tagine you will discover how easy it really is. I highly recommend investing in a piece that you can have for several years. Even though it may seem like another piece of cookware it has so many uses! Firstly I would like to say how much I have enjoyed reading your blog, it takes me back to times I have spent in Morocco. Last time I was there I bought a clay tagine and the stand in which you cook on with charcoal outdoors .. (not sure what this is called) can you explain how I use this please? 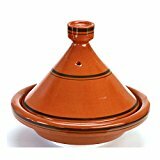 If it is the metal rimmed bottom you just add charcoal to the bottom part and cook the tajine on top! I bought a Clay pot ,glazed with about a 6 inch handle,10 inches in diameter .No top on it,,about 3 inches tall,,what is it called and I would like to know how to season it. It sounds like a dish known as a tagra. You can season it the same way you would a tajine pot but if it’s glazed you don’t really need to. Just use it to cook on low heat – we use it for things like eggs or other “skillet” style cooking just on much lower heat. After visiting France and eating my very first tagine served in the traditional pot, I was determined to learn all I could about how to make this delicious dish when I returned home to the USA. I am thankful for having run across your article and explanation of all the different types of traditional dishes and how to use them. This has been a very informative article and will certainly help me when it comes to purchasing my pot, which I intend to do as soon as possible, so I can begin the cooking. Thank you!